For this new exhibition at the Old School Gallery, Rob has produced a number of oil paintings, along with watercolours. Rob has also printed monotypes, which are individual, one off prints made from making a painting in reverse and then printing it onto dry or dampened paper. 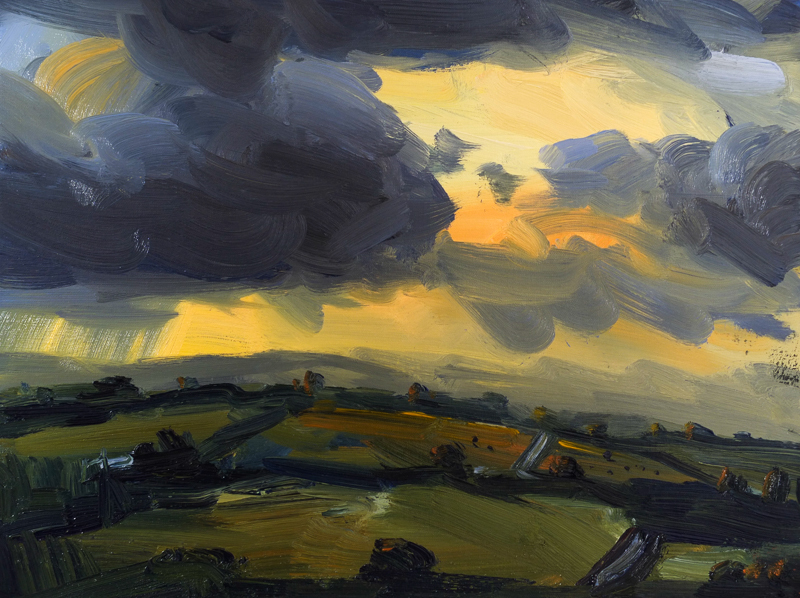 The subjects of Rob’s paintings follow a tradition of British landscape painting. His technique is bold and fluid, using broad strokes to allow for a distinctive take on the beauty of the local countryside and seascapes. Rob’s wonderful use of colour captures the unique light and palette of Northumberland. You can preview Rob Newton’s work on Friday. The Old School Gallery also participates in the Own Art scheme to enable customers to pay for art with interest free credit.